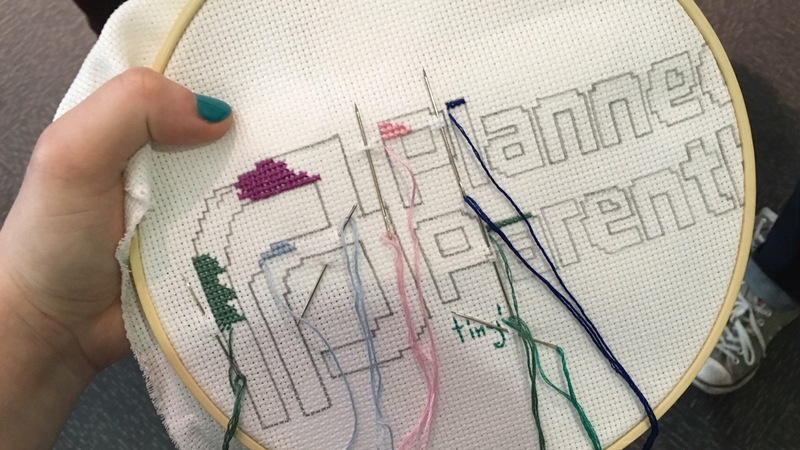 I’ve been known to cross stitch, knit, and crochet at conferences and events, but something I’ve never tried is to work on a single piece of cross stitch with as many people as possible. Over the last two days, I’ve been working on the collaborative piece with loads of amazing people at the conference. 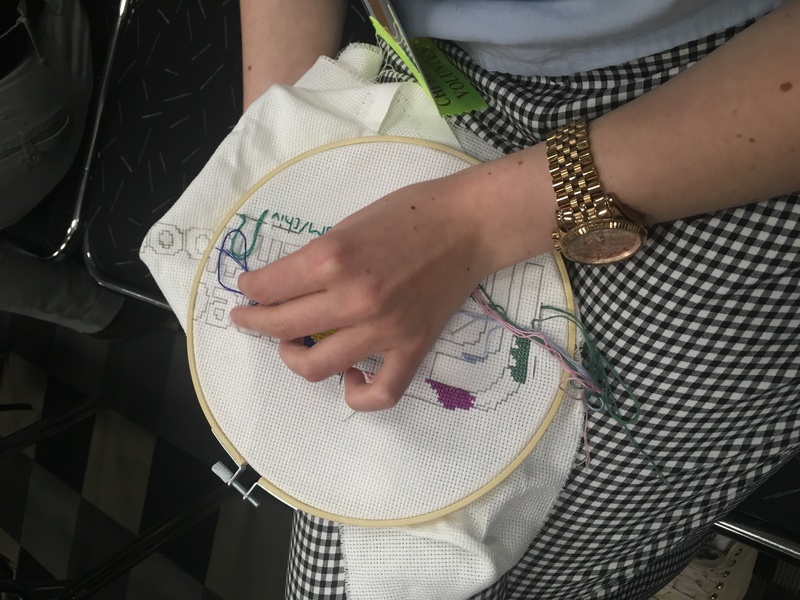 It’s amazing to see people who have never cross stitched before giving it a go, or to hear stories from others about how they used to cross stitch or embroider but hadn’t done it in a while. It’s a lovely way to get to know people, to have brief chats about #CHIversity, feminisms, social justice, and HCI, or to simply share an experience with others while listening to a paper session together. Thank you so much to everyone who has contributed, or who has taken a moment to watch us all work on the piece. Thank you to everyone who has donated, and to everyone who has shared their experiences, thoughts, feelings, and work through #CHIversity. 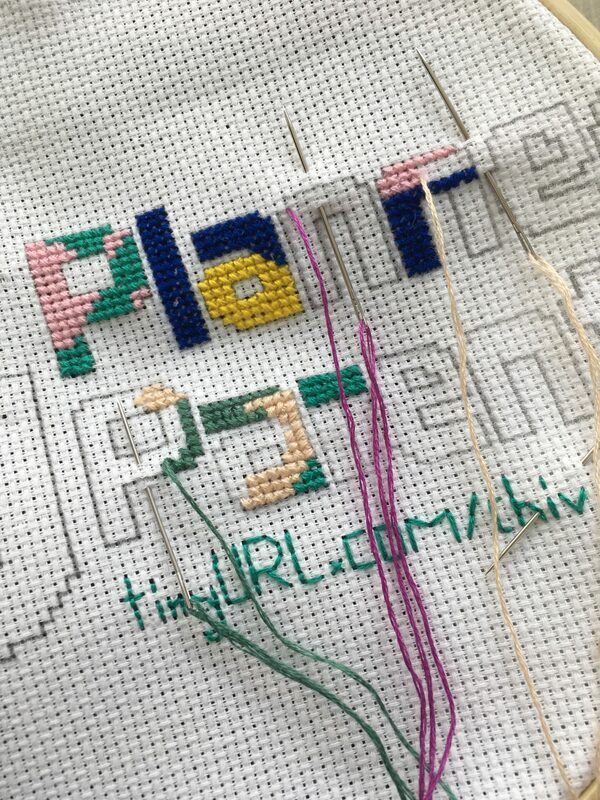 I’m enjoying watching the colourful patches grow in the embroidery hoop, deciding which colour should go where, and deciding on what new colours to add next. I love how it’s constantly evolving, changing and adapting to each individual’s colour choice. I’ve been tweeting pictures of the progress, and telling people where I am on the @fempowertech account. 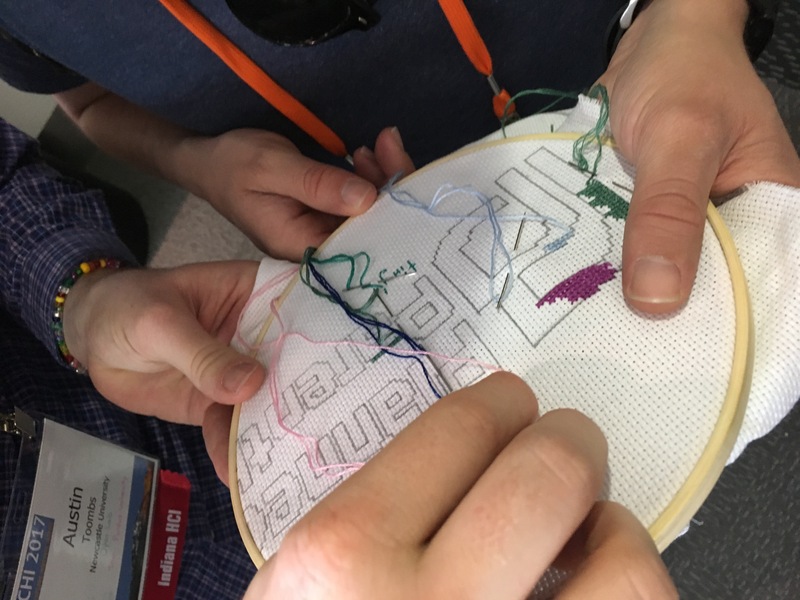 The feedback we have received on twitter and in person has been fantastic, and I hope that people have had a chance to talk about issues that are meaningful to them beyond the crafting. This positive response is really meaningful to me, because personally, I get quite anxious at conferences. There are too many people, it’s too loud in the coffee area, and there is rarely a space that I can go to to relax and be by myself for a few minutes. 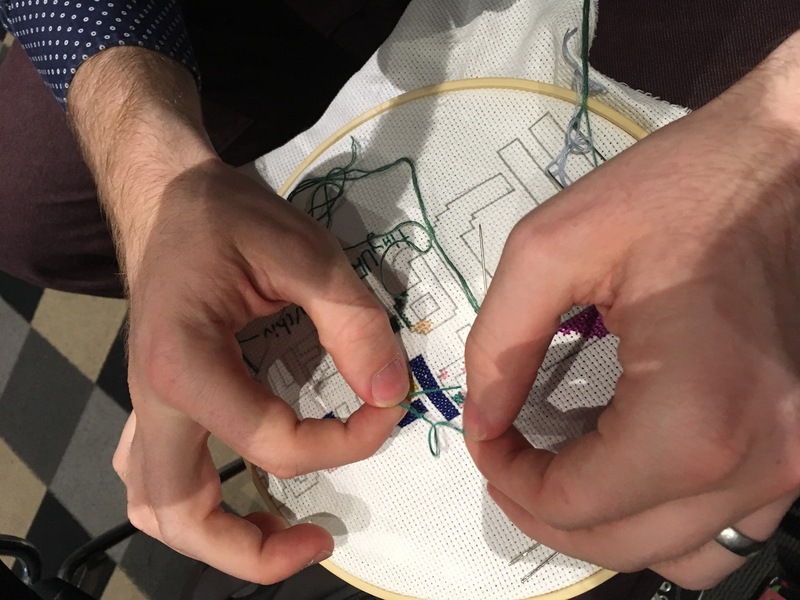 That’s why I started bringing crafts to conferences and events – to have something to do with my hands, to take my mind off the building anxieties. Carrying around the embroidery hoop has helped me immensely thus far, and I’m glad to have been able to share this with others. This little activity has made me feel so much more at ease this year, it’s helped facilitate conversations, and it’s made me feel more confident. And of course, don’t forget to also donate to Planned Parenthood!